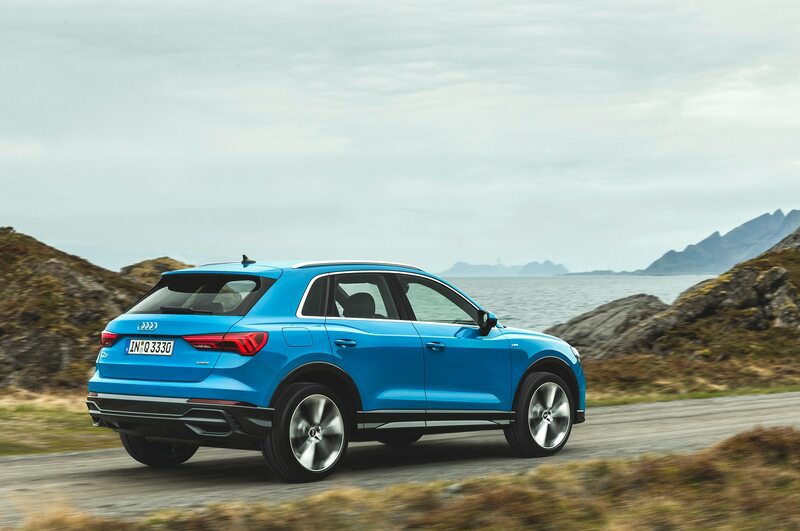 It’s only been a few years since the Audi Q3 went on sale in the U.S., but it’s important to remember that Audi sold the Q3 overseas for three years before bringing it stateside. 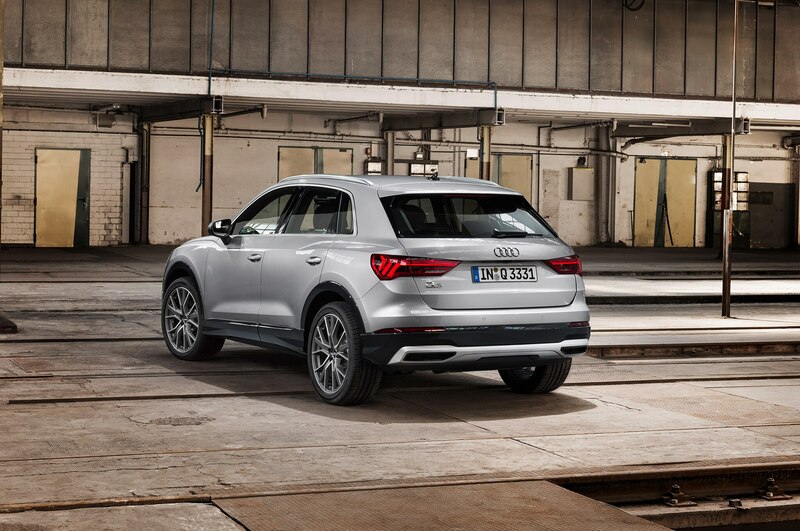 Dating back to the 2013 model year, the Q3 is actually one of the oldest vehicles in Audi’s lineup. Now there’s a new version for 2019. 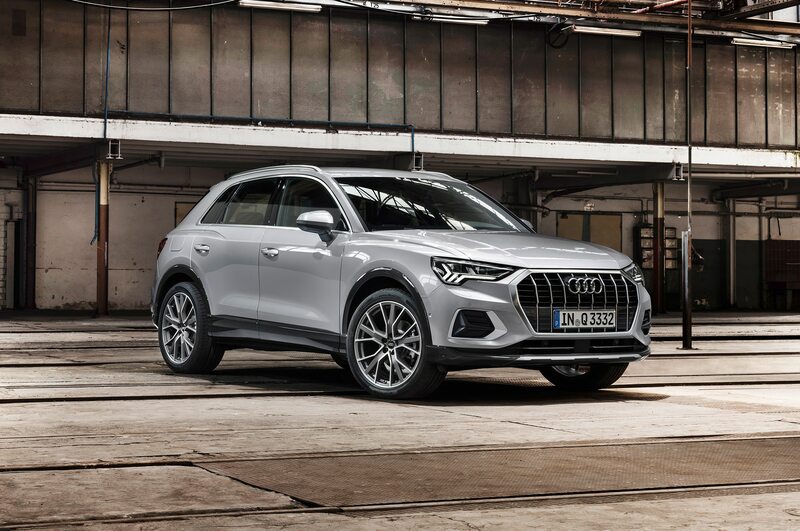 The first thing that stands out about the 2019 Audi Q3 is how much more aggressive the styling is. 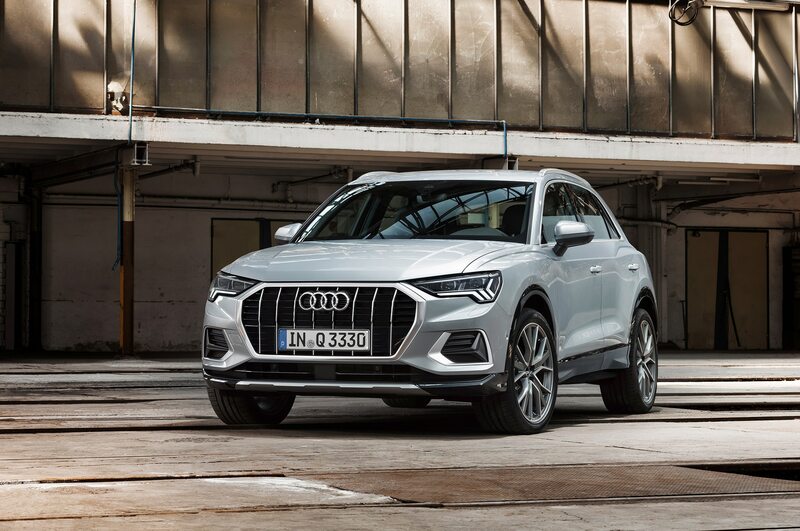 It might be too much for some people, but unlike the current Q3, you certainly won’t call the new design anonymous or plain. 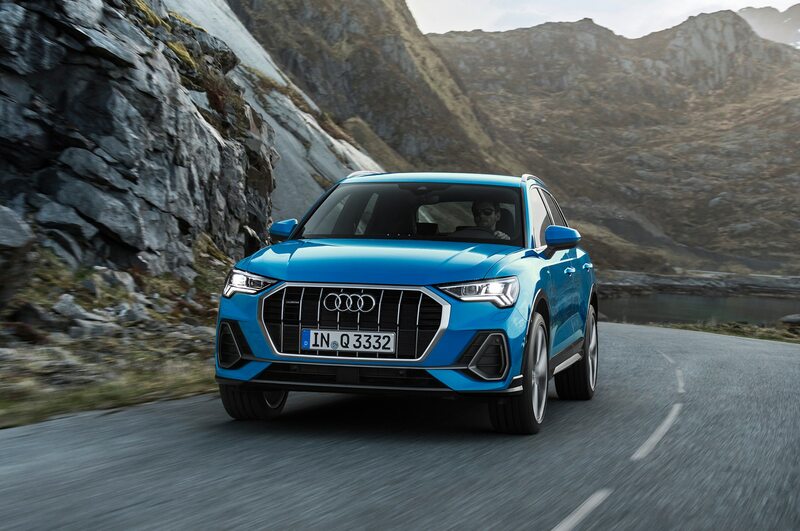 The front end borrows a lot of its look from the Q8, with flared fenders that give the luxury subcompact a muscular, sporty look. 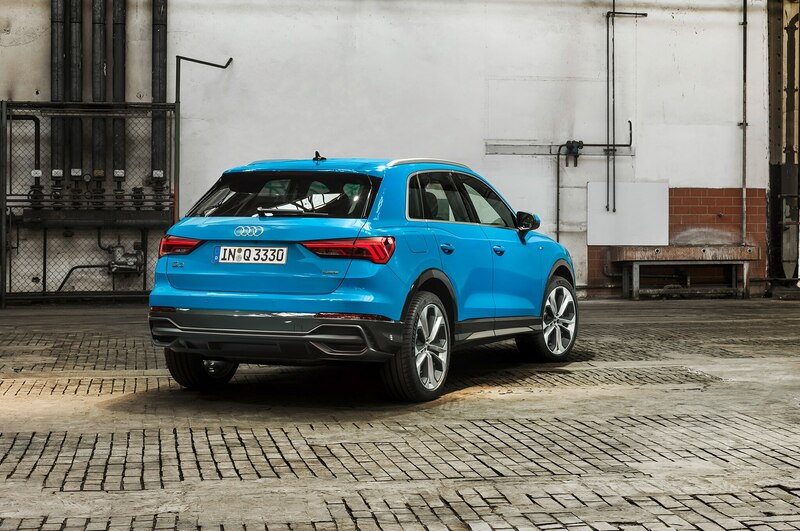 The rear, meanwhile, gets its own distinct styling. We would have preferred visible exhaust tips and for the grille to stand out a little less, but overall, the design is a huge improvement. 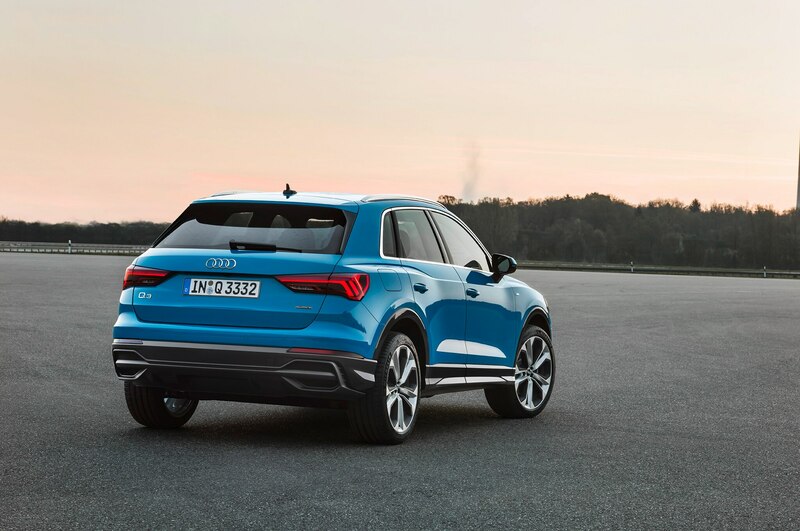 The Q3 has grown, giving passengers significantly more room in the cabin. Not only is it 3.8 inches longer than before, but its wheelbase has also been stretched 3.1 inches. It’s also a little more than a half inch wider and slightly less than a quarter-inch lower. Together, the larger dimensions promise more leg-, head-, and shoulder room. The back seat slides nearly 6 inches and gets a 40/20/40 split, allowing both cargo and passenger space to be maximized as needed. 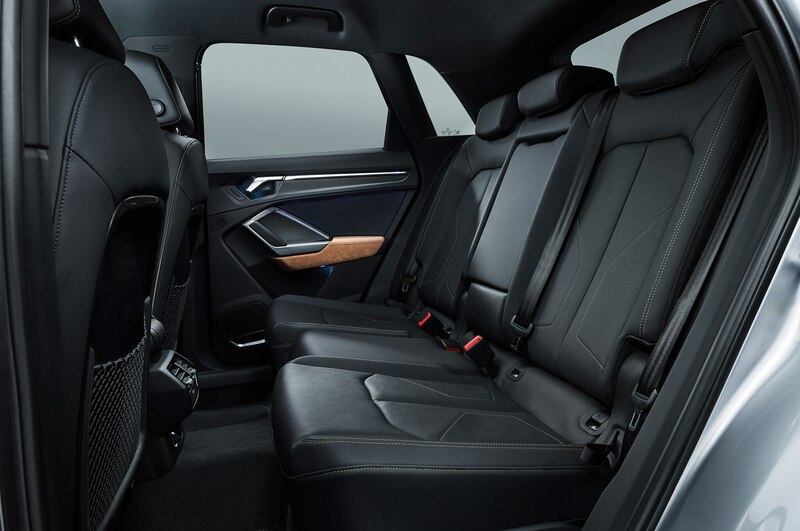 Audi also completely redesigned the interior, using a lot of the same design elements you’ll find in any of the vehicles it’s introduced in the past couple years. The star of the show is a massive 10.25-inch digital instrument cluster. 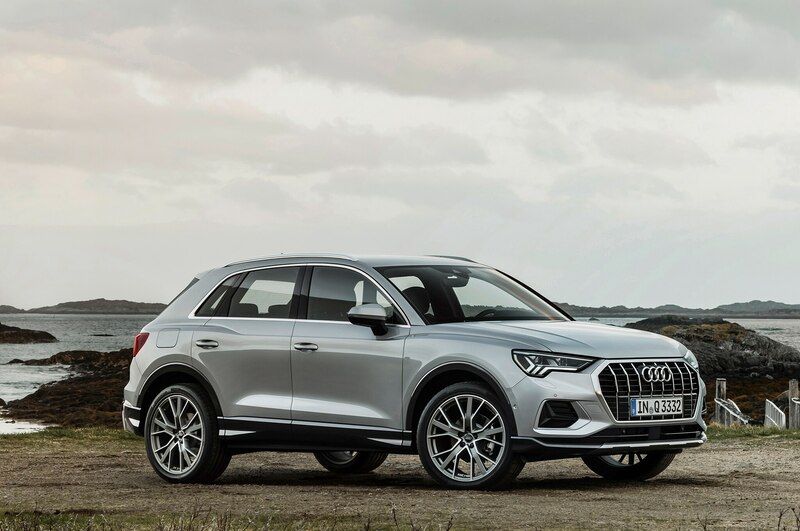 Step up from the base model, and Audi’s visually impressive Virtual Cockpit also becomes available, as does a 12.3-inch display. The center console uses an 8.8-inch touchscreen to control the infotainment system, but that can be upgraded to a 10.1-inch screen if you choose the top-of-the-line version. 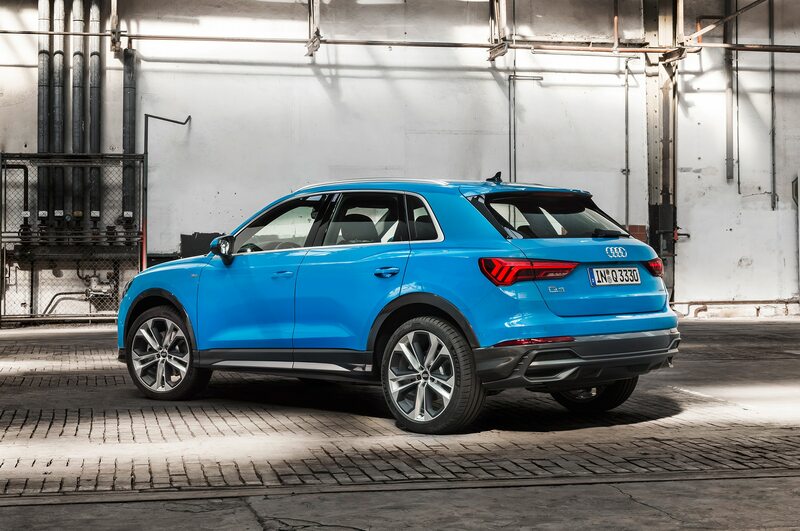 The Q3 gets its fair share of cutting-edge technology, as well. 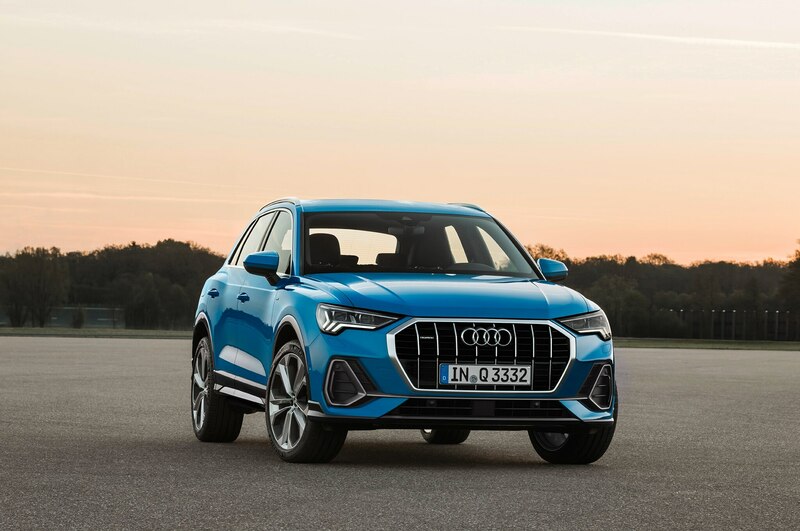 The top-level infotainment option comes with a feature Audi calls natural-language voice control, which, thanks to cloud connectivity, it claims will be less infuriating to use than regular voice controls. There’s also a suite of connected services that promise to provide traffic and parking information, improved search capabilities, internet access, and a Wi-Fi hot spot. Only two USB ports are included, but one is a Type C plug, which should make it quicker to charge phones. As is now the industry standard, Apple CarPlay and Android Auto support is also available. Adaptive cruise assist is available, too, bundling adaptive cruise control with traffic jam assist and lane keep assist. 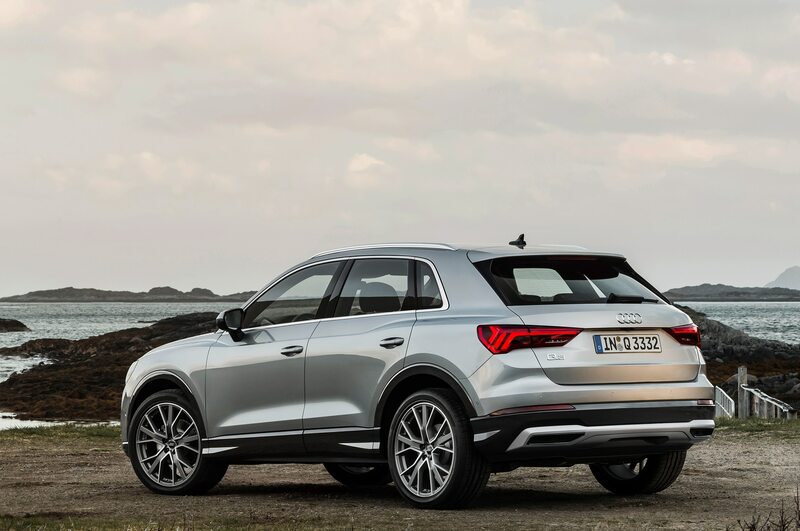 At launch, Audi plans to offer four engines in Europe, but neither the entry-level 1.5-liter gas engine nor the diesel option is likely to make it to the U.S. 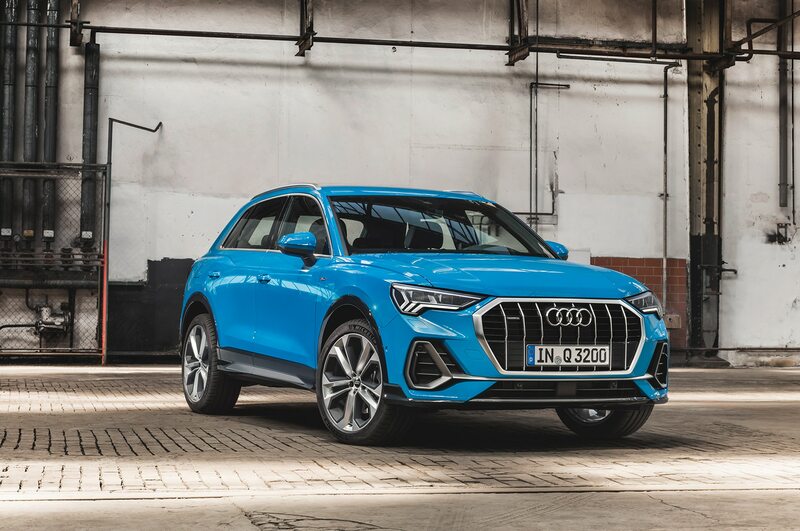 Instead, we’ll likely get a 2.0-liter turbo-four that makes either 190 hp and 236 lb-ft of torque or 230 hp and 258 lb-ft. There’s also a chance we could get both. 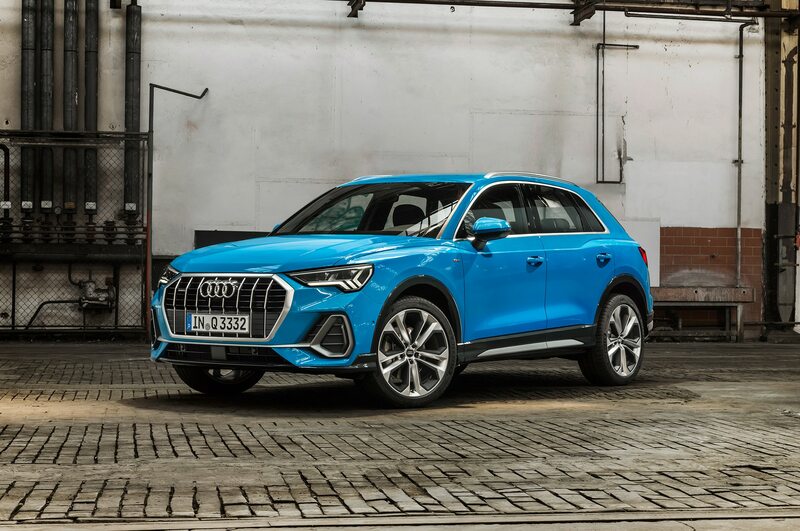 But although the Q3’s 2.0-liter engines only come with all-wheel drive in Europe, we still expect Audi to offer a front-drive version here. Either way, assume a seven-speed dual-clutch will be the only transmission option. 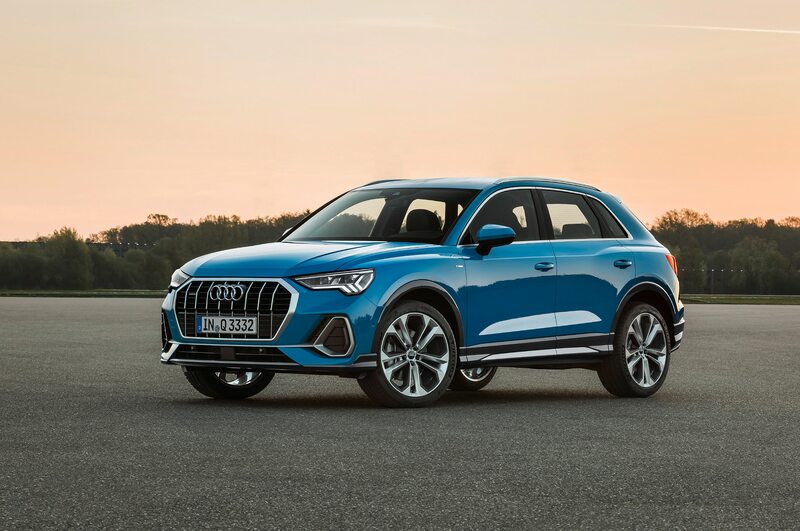 The new Q3 will go on sale in Germany and other European countries this November, but there’s no telling how long it will take for Audi to bring it to the U.S. There’s no official pricing, either, but you can expect that to be announced closer to the Q3’s on-sale date. 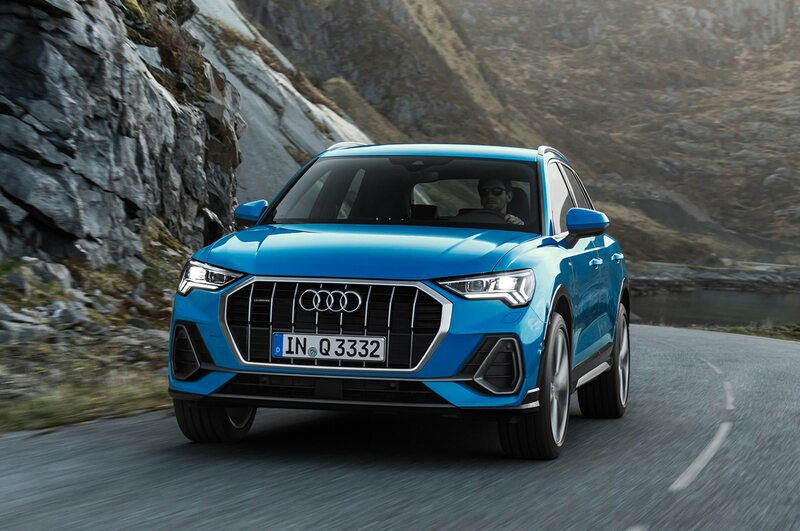 Currently, pricing starts just under $34,000, but don’t be surprised if you have to pay more for a 2019 Audi Q3.